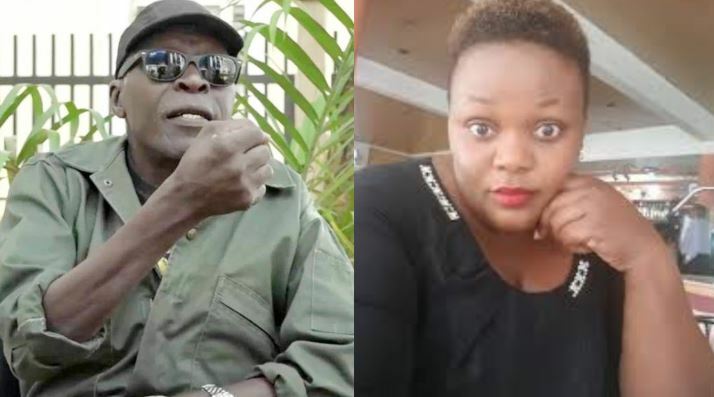 MAKINDYE – Maj Gen Kasirye Ggwanga has said he will not obey police summons to answer charges of malicious damage after she shot and deflated tyres of the vehicle belonging to singer Catherine Kusasira. The controversially retired army officer on Tuesday night in Makindye, a Kampala suburb, shot at the singer’s vehicle after her aides reportedly refused to lower the volume in the car. While Kampala Metropolitan Police spokesman Patrick Onyango said detectives will summon him to record a statement, Maj Gen Gwanga said he will not appear at police. On August 1, 2013, Ggwanga, then a brigadier, stopped police from carrying out an eviction at his home in Makindye Division despite a court order. The then Kampala South Region Police Commander Michael Mugabi stormed Brig Ggwanga’s residence in Kizungu, directing that the retired army officer vacates the plot of land he is occupying for it belonged to former Kenyan president Mr Mwai Kibaki. Ggwanga refused and police retreated. They then made a second eviction attempt after the court issued another order. They again failed. Both UPDF and police intervened. Brig. Ggwanga told the then Chief of Defence Forces Gen Katumba Wamala to stay off his property. Ggwanga is still occupying the same plot.